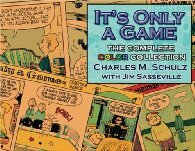 Coming next month is The Complete Peanuts 1961-1962 (or “Volume 6” for those who count them that way). I’m not going to bother trying to tell you whether you want it or not. 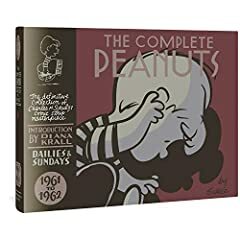 I mean, it’s the next volume of The Complete Peanuts; is it really a question? Not only the first appearances of Frieda and her flaccid cat Faron, but really the bulk of their significant careers in the strip. 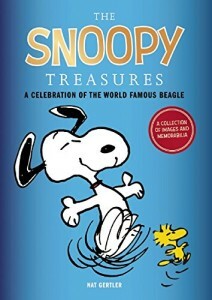 Schulz has said that he got rid of Faron because her presence with Snoopy turned it into a dog-versus-cat strip. Reading these strips, it’s clear he’s trying to aggressively install Frieda in the strip, not just make her an incidental character, but while she was interesting to listen to, she really didn’t interact with the other characters. Some of those strips where Lucy misexplains science to Linus, right up front. Seeing that, I was hoping there would be lots of these, as I rather like those strips. No such luck, but at least we do learn just what’s in the air that makes winter the healthiest time of the year! A lot of politcal overtones from the times. Lots of questions of leadership, of leading to peace or war. Lucy tries to get Linus to decide whether he’s liberal or conservative. Communism is mentioned. And the August 24, 1961 strip seems quite timely in these days of terrorism concerns. Charlie Brown’s baseball team quits not once, but twice. 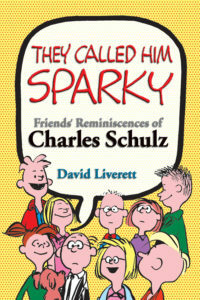 The entire Linus-wears-glasses period is in this book. Sally fears going to kindergarten. Snoopy becomes caretaker for birds. Strips for National Dog Week, National Library Week, and International Newspaper Comics Week. The problems of Linus’s blanket addiction makes for multiple multi-week storylines. 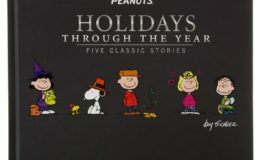 Charlie Brown brings up the concept of comic strips going into rerun periods decades before it starts to happen. It’s another book that matches the earlier books in the set, and if you don’t have volume 5 yet, you can get them both in a boxed set. So order now, and they’ll ship when they’re released!